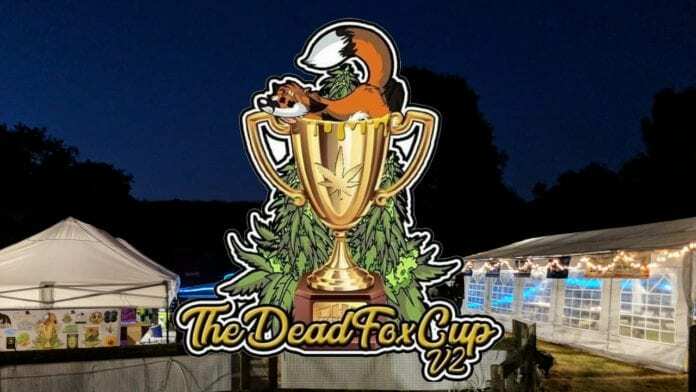 Last weekend the Dead Fox Cup took place in the UK. 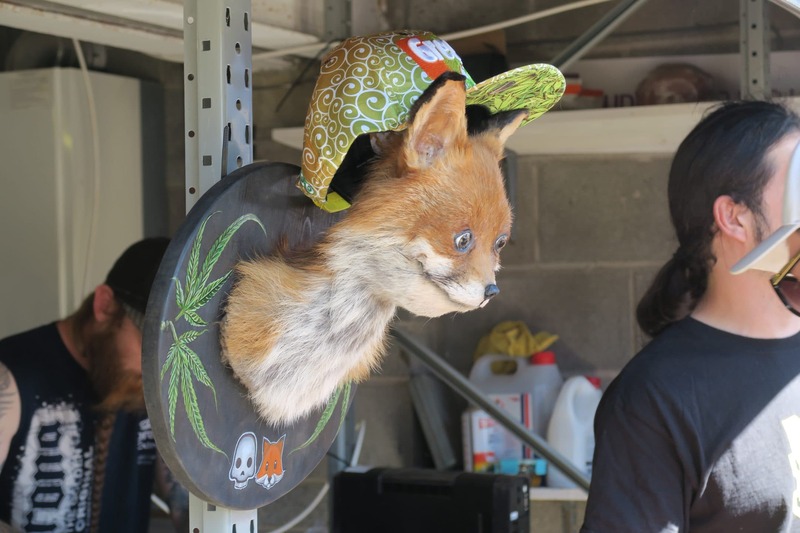 This event showcased some of the best cannabis flowers and extracts that the UK has to offer, and was organised by the Dead Fox Collective. We travelled to a secret location in Wales for the event which was attended by around 100 people from across the UK. The journey from the South of England was long, but well worth it; we drove up to the remote location of the cup, a beautiful farm set on a far-away coast. Think picturesque – plenty of space – the perfect location for a cannabis cup! 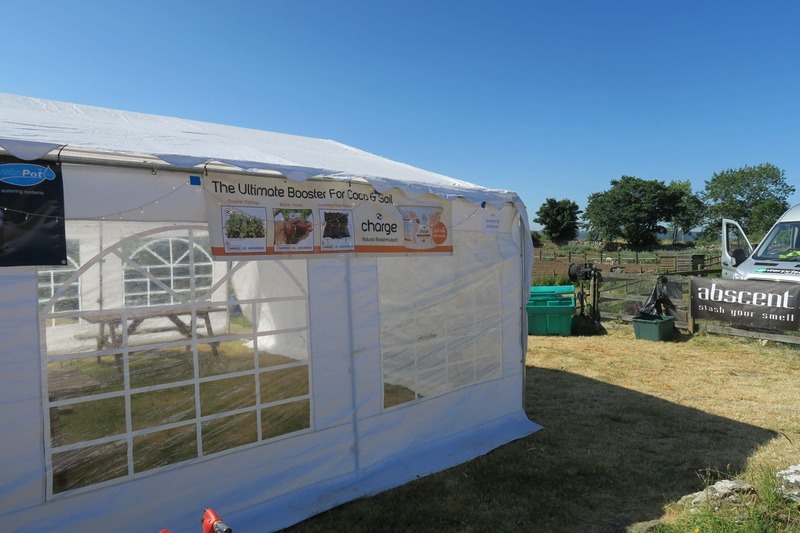 Now in its second year, the Dead Fox Cup took place on the Saturday, with the option to camp the evening before and camping available for the weekend. Many people didn’t take up this offer and opted to stay in local hotels but I did because I like to be right in the thick of it when I attend overnight events and festivals. There were a fair few of us in the campground which was conveniently located less than 75 feet from the actual event, making trips back and forth with equipment a bit easier. There were lots of people from the industry in attendance including, of course, the Dead Fox Collective guys, as well as DNA Supplies doing live cannabinoid testing, several artists from the UK Glass Scene, Choccowbar with their excellent munchies and drinks stall, Chefsless with their medicated range which looked delicious and lots of other people and groups including East London Cannabis Club, Squarepacks, Warwickshire Country Highgrade, UGORG Ibiza and many, many more made it up for the event. 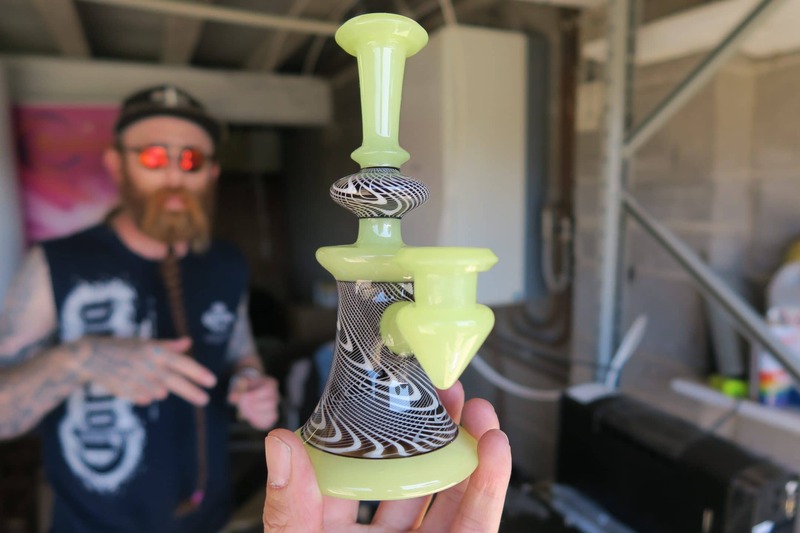 We also made a dab tool in our first glass lesson, which was another highlight of this year’s event run by the Dead Fox Collective. 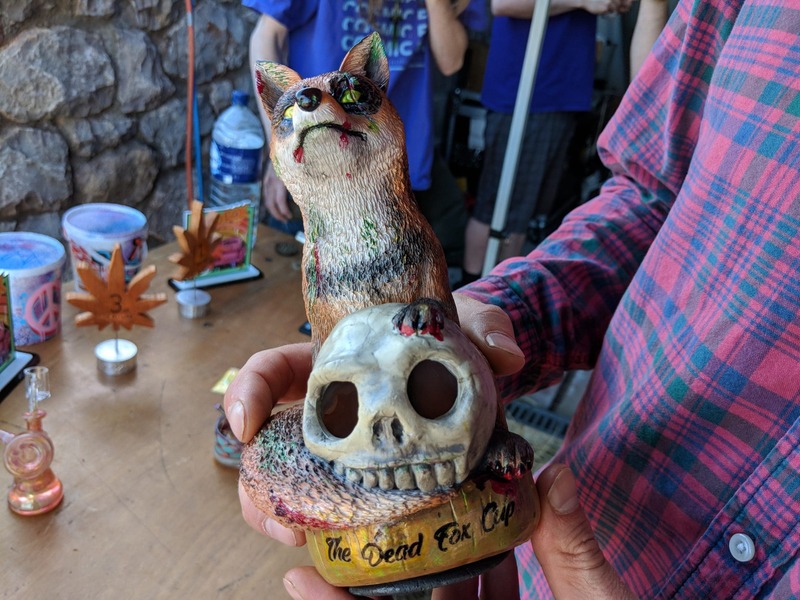 There were three categories to this year’s Dead Fox Cup. Two were judged in the run-up to the cup and one was a special event open to all in attendance and held on the day. 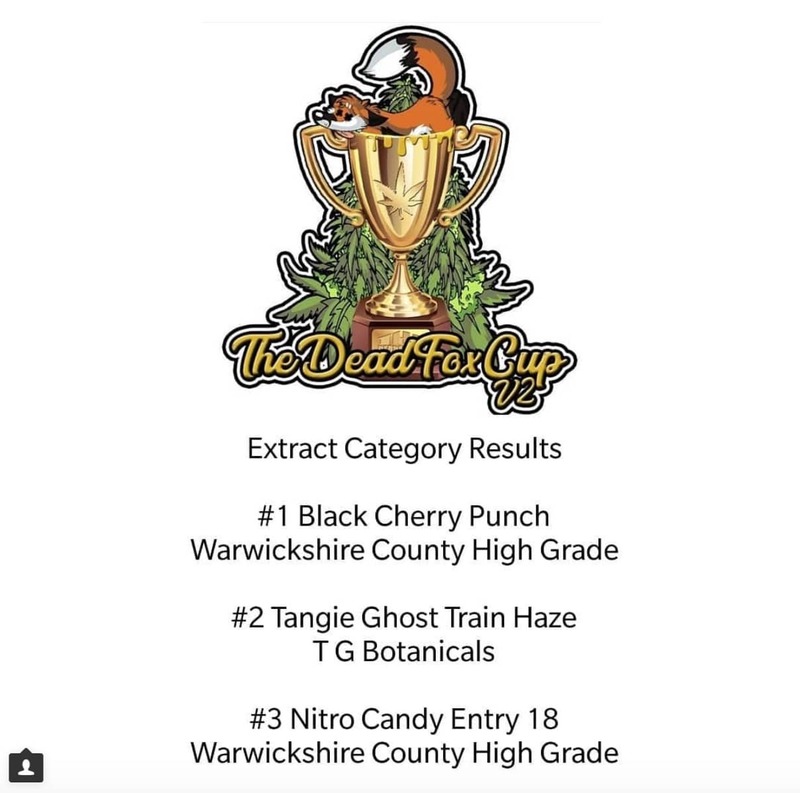 We were asked to judge the cannabis extracts, something you may have noticed if you have been following the channel and not living under a rock for the past few weeks. This amazing job meant going through 27 extract samples to score them from 1-10 for Appearance, Smell, Taste, Cleanness and effects. We of course took this role on happily – in fact, it is a highlight of our time in the industry so far and we had a great time marking extracts on all the factors listed above while completely unaware of which strains they were made from or who they were extracted by. All of these extracts placed in our top 5, but the level and quality of all the entries were very impressive. Congratulations to Warwickshire Country High Grade (1st & 3rd) and TG Botanical Extracts (2nd). The flowers category was similar in that judges had samples which were labelled with numbers to remove any bias for strain or grower. All three of the winners are strains that we are absolutely loving, and it is no surprise to see them topping the list of best strains in the UK right now. 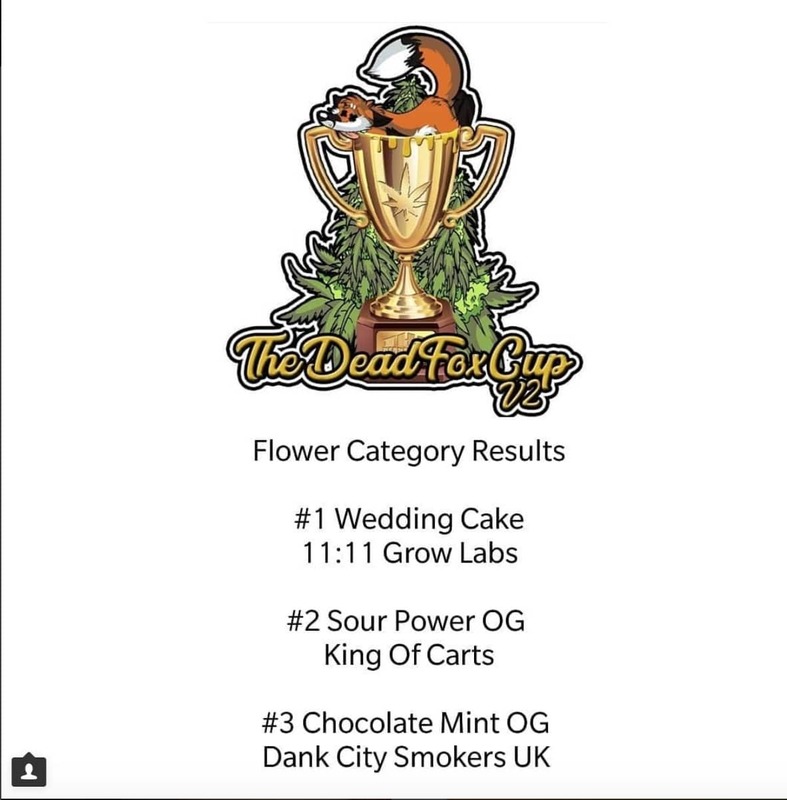 Congratulations to 11:11 Grow Labs, King of Carts and Dank City Smokers UK for placing in this year’s flowers category. There was a third category on the day of the event called the “Run what you Brung” category which anybody in attendance could enter. 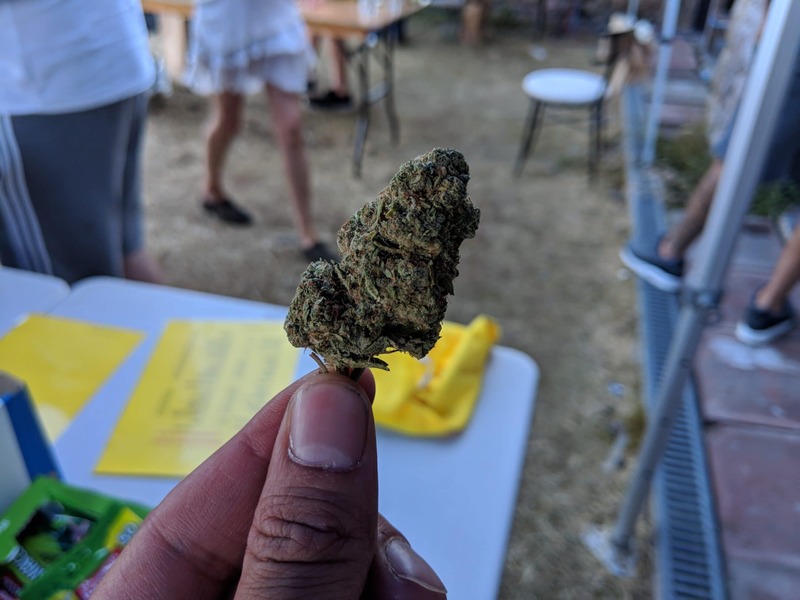 This was facilitated by the Sasquatch press on site and some of the guests in attendance were asked to judge the rosin that had been squished. 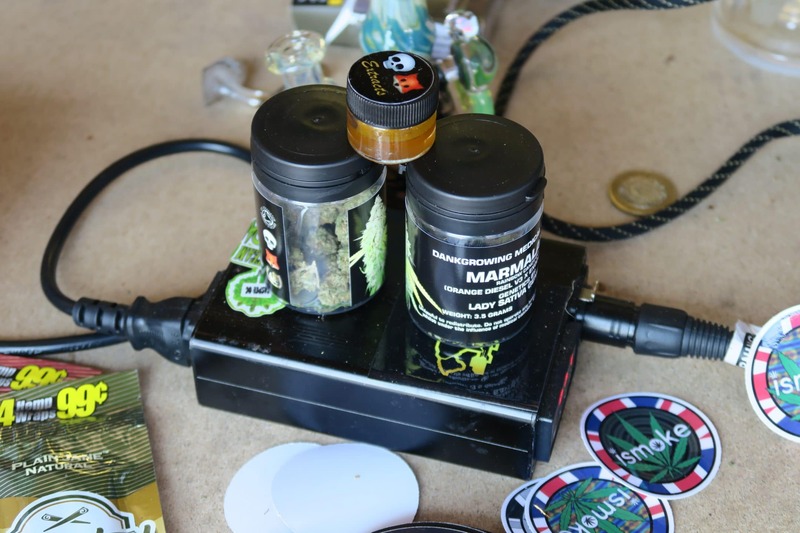 We got to try The Sauce rosin made by DJPlantsman, and the flavour and aroma was amazing – that will be featured in a review soon, along with Kush Family Collective’s Triangle Mints which is also in our review pipeline. 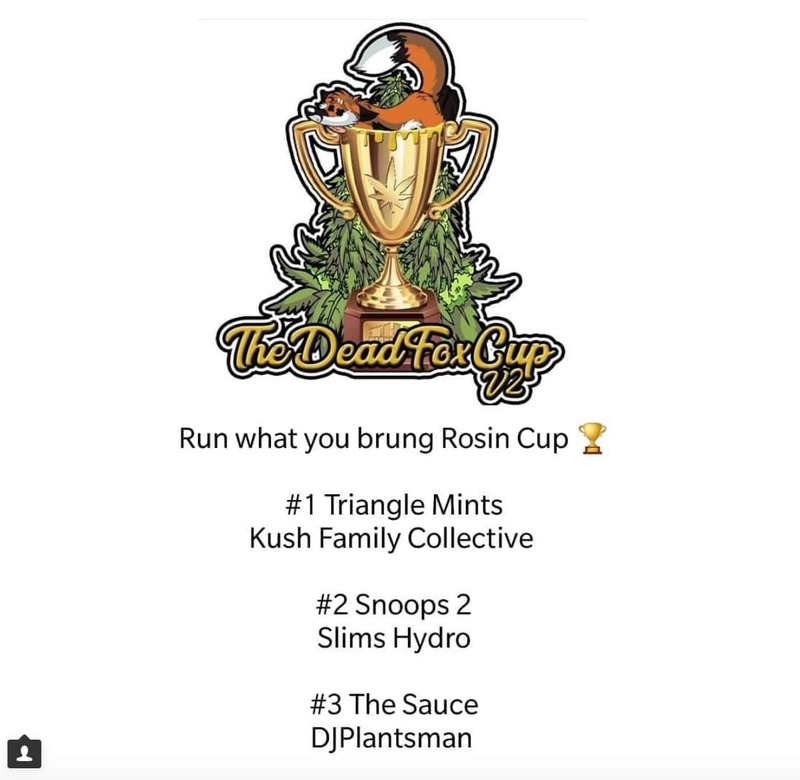 Congratulations to Kush Family Collective, Slims Hydro and DJPlantsman for placing in this year’s cup! Overall we had an incredible time at this year’s Dead Fox Cup V2, and look forward to attending next year’s event. Apologies to all those we missed mentioning, there were too many amazing people there to mention everybody, but we look forward to seeing you all at events soon. We have one video still to come which will show you the event itself, so look out for those on the YouTube channel soon. Follow the @Deadfoxcup on Instagram for more updates about this and future events. Thanks to the Dead Fox Collective for hosting such a successful event for the community and we look forward to the next one!